On the last day of school before Keri moved away my buddy Newly wrote in my yearbook, "Pls. tell Keri I will never forget her". I smile at that now because I am pretty sure anybody who went to Kino Jr. High back in the day has not forgotten Keri. Keri and I spent our last project in school that year as partners for a science project. Bless her heart, she never wanted to get in trouble by talking in class but didn't want to make me feel bad either because I had a chatty habit (sorry Mom). Lots of great memories of growing up and birthday slumber parties with our little group of girl friends. We may have even had a dance off after we all watched Sarah Jessica Parker in "Girls Just Wanna Have Fun"..do you remember that one? Keri was always one of the nicest ones around and a friend to all. Anyway it has been fun to follow her along on her career. After I saw her home in Elle Decor I thought, "Well that makes sense". I think her personal fashion style translates into her home. Like her chandelier...then may I suggest an affordable option here or here (oh shoot that second one is not exactly budget friendly..I will keep looking). To see more of Keri's home go here. How fun that you grew up with Keri. I have loved her ever since Felicity. Just this past weekend we watched August Rush and my husband kept saying...wow, she's so gorgeous! I couldn't agree more. She's one classy lady. Keri has always been one of my very favorite's to watch - I never missed Felicity - so nice that you were friends. I always say if I was famous she would be one of my best girlfriends. She seems so real and down to earth. Her home is so beautifully put together - just like her! I really enjoyed your post. I've always thought Keri Russell was just so beautiful. So cool that you know her personally and that's she's a beautiful-on-the-inside woman too! Love her home. In flipping through my Elle Decor I turned down the corners on those pages without even noticing who lived there. Love your backstory! Wow! How cool is that you knew Keri Russell back in the day? As the others have written, Felicity was one of my favorites as a young twenty-something. She really is so naturally talented and beautiful. Her home reflects her style perfectly. Thanks for sharing your blast from the past! Those chandeliers are really amazing... 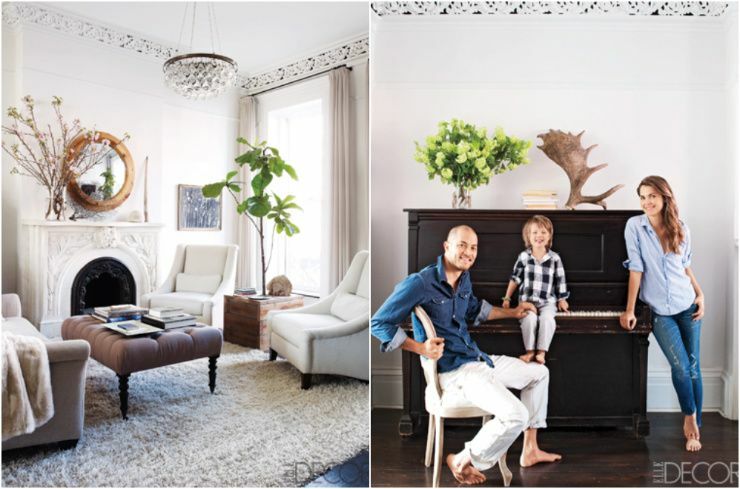 I cannot stop drooling over the style in Keri's home! Thanks for sharing! Can I just say I kept that top photo of her for the LONGEST time because I LOOOOOVED that outfit she is wearing? Even found the sweater on sale at J. Crew. In fact, I still love that ensemble. How cool that you know her! Hope you had a good Mother's Day, mamacita!! I did a post today of my pre- and post-tummy tuck pics if you want to see. Brace yourself. 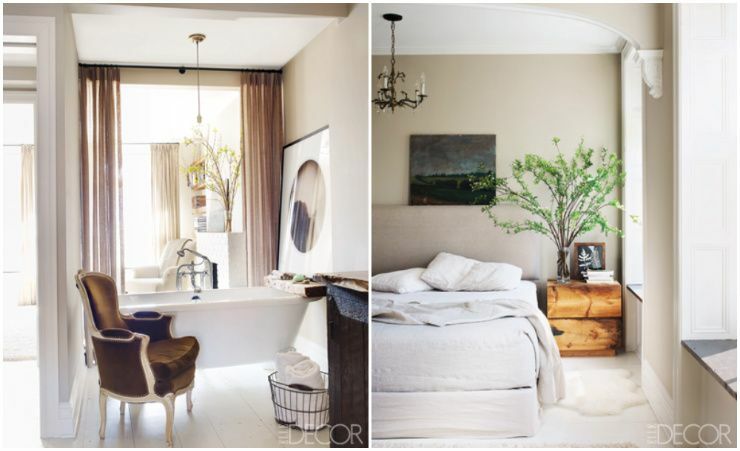 Her space is just how I would want to live- ideally- neutral, layered, organic gorgeousness. Unfortunately I have this nasty habit of infusing color and pattern into every space! Love Keri Russell! She is just so beautiful. Her house is just gorgeous! 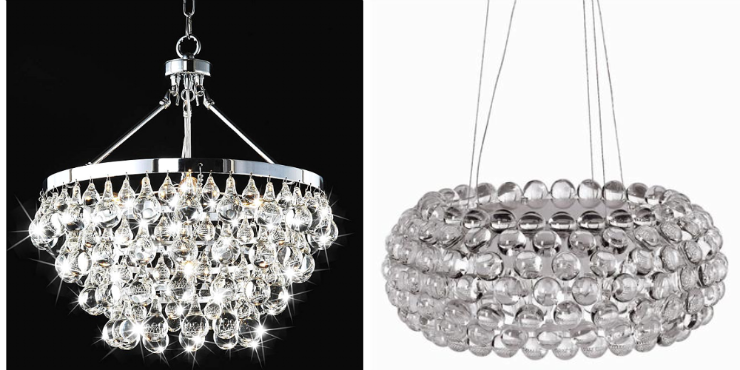 Z Gallerie's Jupiter chandelier is a total look for less!! Great story and pictures. I love the idea and how you manage everything.Keep up the good work.